We’re excited about a new Foldit tool that has been developed for protein design! The Blueprint panel, alongside its partner Building Blocks panel, is meant to ease the construction of “ideal” loops. Check out the video below to see a prototype in action! We hope to start testing the new feature in devprev in a matter of days! As another example of applying Foldit to human disease, this month we have a puzzle on the protein dysferlin. The deficiency or absence of dysferlin causes one genetic type of Limb Girdle Muscular Dystrophy. Muscular dystrophy caused by dysferlin has autosomal recessive inheritance (meaning it is equally likely to affect females and males) and typical onset between the ages of 15 and 30. The UW Institute for Protein Design is conducting a research project on the structure and function of dysferlin for the Jain Foundation, a nonprofit foundation based in Seattle which supports research and the development of treatments for dysferlinopathy. The exact function of dysferlin is not completely understood, but it is thought to be involved in repair of the muscle cell membrane if it is damaged, and in resetting the muscle to a quiescent state following contraction. Sept. 30 is Limb Girdle Muscular Dystrophy Awareness Day, and we are introducing Puzzle 1291: Dysferlin C2B Domain to commemorate this day and to spread awareness to the Foldit community. The following video features an interview with a neurologist on Limb Girdle Muscular Dystrophy, and with a patient who has dysferlin deficiency. Ferlins are a family of transmembrane proteins which contain multiple C2 domains. The N-terminus is located inside the cell, and there is a single transmembrane domain near the C-terminus, which is located on the cell’s exterior. Ferlins are thought to participate in membrane fusion events and are involved in a variety of functions in many organisms. The first ferlin to be described is fer-1 in C. elegans, which is required for sperm function and hence fertility (giving rise to the name “fer”). Ferlins has also been described in drosophila and sea urchins. Deficiencies in two of the five mammalian ferlins have been associated with human disease. Otoferlin is required for transduction of signals from the inner ear to the nervous system for hearing, and its deficiency is a genetic cause of deafness. The most abundant dysferlin isoform in skeletal muscle is 2080 amino acids long, and contains at least seven C2 domains as well as additional protein domains of other types. One goal frequently cited by citizen scientists is to work on problems that benefit human health. Foldit is uniquely positioned to enable this because the game allows players to fold and design proteins, which are often implicated in human disease. In particular, Foldit players can have a huge impact on rare and neglected diseases, which are more common in developing nations than in Western nations and generally receive less attention from pharmaceutical companies. Foldit can help through structure-based drug design (SBDD). The steps involved in SBDD are 1) identification of a target (a protein), 2) crystallization of the target, and 3) design of small-molecule drugs for the target. Through collaboration with the non-profit organization Infectious Disease Research Institute (IDRI), we would like Foldit players to experience this process. We hope that Foldit players will be able to positively impact a specific neglected disease: tuberculosis (TB). TB is caused by the bacillus Mycobacterium tuberculosis. TB disproportionally impacts impoverished communities and killed 1.5 million people in 2014 alone (2014 is the most recent year that data is available). Additionally, it is estimated that 9.6 million people have fallen ill with TB in 2014, a number that includes 5.4 million men, 3.2 million women, and 1 million children. 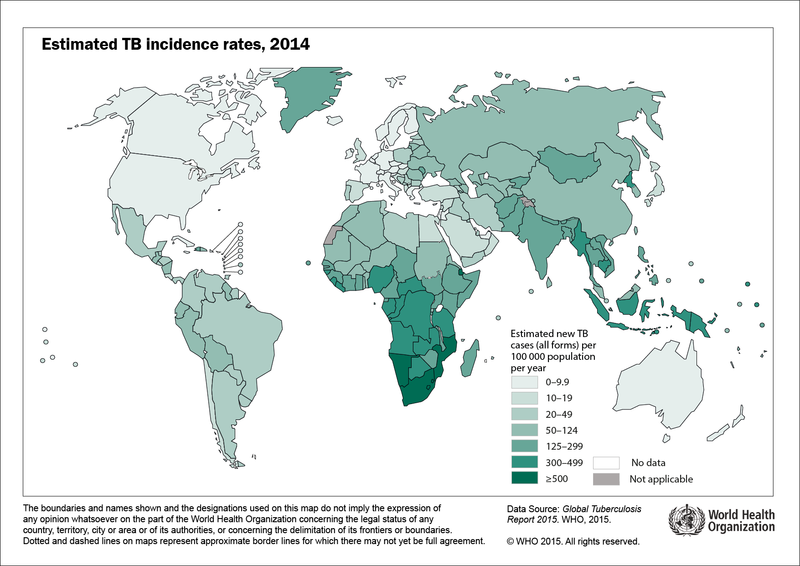 Figure 1 shows an estimate for incidence rates of TB from the World Health Organization (WHO). A major issue in treating TB is that the bacterium has evolved to become resistant to current treatments – most notably, antibiotics and even combinations of antibiotics (see WHO for more information on the problem of antibiotic-resistant tuberculosis). The medical community needs a new drug to kill the bacteria; a target and crystal structure for SBDD will greatly accelerate design of new drugs. Scientists at the non-profit organization Infectious Disease Research Institute (IDRI), and at Eli Lilly, have been working together to identify a suitable target and drug for TB. Their TB Drug Discovery collaboration is embodied in the following video. These scientists have identified an essential enzyme in M. tuberculosis, LepB, as a target; unfortunately, there is no crystal structure available for the protein to perform SBDD. This protein target is notoriously difficult to work with since it is bound to the cytoplasmic membrane and only small amounts of the protein are available for crystallization trials. More accurate models can be used to guide protein engineering, with the goal of producing more soluble and crystallizable protein. Once crystals have been obtained and X-ray diffraction data obtained, the models will be used for molecular replacement (this is similar to the HIV retroviral puzzle that Foldit players helped solve in 2011). LepB is a difficult target in both experiments and in modeling. The closest homolog to the Protein Data Bank shares ~25% sequence similarity. This is where citizen scientists can help! We would like to use models created from Foldit players to help solve the crystal structure, once crystals are obtained. These models will have a direct impact on human health, as this target is currently being actively investigated for drug design. Further, this is a prime example of how crowd-sourced citizen scientists, non-profit organizations, and a pharmaceutical company can work in harmony to develop cures for neglected diseases. The work done here will be published, regardless of the results (e.g., if no crystal structure is obtained due to experimental difficulties, we will still publish Foldit players' models and the players’ names will be on the paper). If crystals are created and a structure is obtained, the players who have models that help with determination of the structure will be on the publication. Rest assured, we will publish what we have so that the whole scientific community can have access to it and help to fight TB. We are hoping that we can take this puzzle and work through the whole drug design process (through the SBDD process). After models are created, and hopefully a structure is determined, we would like to use the new drug design game elements to design small-molecule drugs against TB as well. You can see in Figure 1 just how much the scientific community needs this. This puzzle is currently scheduled to appear on Tuesday, 12 July 2016. Please respond to bug reports in this thread. •	When switching from design panel to undo, it is possible to have spheres left behind from the design panel. When a patient is diagnosed with HIV, they are almost immediately given anti-viral drugs that target HIV Protease 1. This protease is essential for the life cycle of HIV and inhibiting it helps prevent the spread of HIV within the body. To inhibit the protease, scientists have developed small molecules that trap the protease in a conformation that stops the enzyme from working normally. To aid the scientists in their designs, they often look at specific ligand centric metrics. Ligand centric methods focus on attributes of the small molecule and ignore the protein. Two metrics, ligand similarity and Lipenski’s Rule of Five are often used during the design process. For this puzzle, we have provided two new filters that help track ligand similarity and Lipenski’s Rule of Five along with two new tools. Molecular weight is determined by summing all the elements weights in a small molecule. For example, carbon has a weight of 12 and hydrogen has a weight of 1. If you have 6 carbons and 6 hydrogens, the weight would be 78. LogP is a measure of how soluble a small molecule is. The more soluble a molecule is, the more likely it is to be taken up into your body. LogP is determined based on the type of atoms present in a small molecule. All of Lipenski’s rules are reported by the Rule of Five Filter; however, you can view these properties by clicking the ligand view tool. Ligand Similarity is used to describe the similarity between small molecules and known drugs. In the new HIV Protease puzzle, the Ligand Similarity filter is used specifically to identify how similar the designed small molecules are to known “tight” binders. This means that the higher the bonus received, the closer that you are to known chemical entities. This tops out at 75% similarity, to encourage looking for new designs. If you show the filter while using it, atoms that are similar to known binders will be highlighted. Changing those highlighted atoms will result in divergence away from known binders. This tool will be changed from its current state to work more like the remix tool. The purpose of the Ligand Queue tool is to provide a set of small molecules to players; the set comes from actual experiments -– high-throughput screens, virtual high-throughput screens, and automated designs. For the HIV Protease puzzle, the small molecules that are shown are very low binders to HIV. Modifications of these ligands can result in making a small molecule that tightly binds HIV Protease. The ligands provide a good starting spot for design. This tool is still in a rough developmental state, but it is currently useful for providing context for a new concept. High throughput screening and virtual screening are tools that scientists use to quickly identify small molecules that might bind a protein target. This is usually done by a robot that will screen millions of compounds rapidly. After the compounds have been screened, a process of identifying the molecule and modifying it occurs. This whole process is one of the first things done for each new protein target. We will discuss this more in a later blog post! The ligand view tool provides ligand centric values that help you decide if the small molecule being designed is “drug-like”. The current values reported by the ligand view tool will be later incorporated into a filter to further guide you in your designs. In addition to the ligand centric metrics, there is also an iso surface tool that draws an isosurface around the ligand binding pocket to help better show packing against the ligand. Enjoy! Post your questions and comments here and we'll do our best to get them addressed in future updates.